So here are 3 progressively harder lower abs workouts. Although hanging leg raises are the most intense lower ab exercise, it isn’t wise to jump straight into doing these until you are ready. Begin with the first lower abs workout and then progress to the next one, once your current workout becomes easy. If you are a beginner this is perfect. All you will want to do is 5 sets of leg raises while lying on the ground. The key is that you will want your legs bent at 90 degrees. What this does is shorten the range of the movement. This makes it considerably easier that doing these with your legs straight. Begin with 5 sets of 10 reps. Do this two times per week and each week add another rep to each set until you are able to do 5 sets of 20 reps. Keep the rest in between sets to 30-60 seconds. If you rest much longer than that it makes the exercise too easy. Start doing this workout once you are easily able to do 5 sets of 20 reps with bent legs. You are going to want to follow the same progression. On week one begin with 10 reps and slowly work up to 5 sets of 20 reps. Follow this up with 2 sets of planks. Simply hold the plank position for 2 minutes, rest 60 seconds, and repeat one more time. Make sure you really master workout 2 before attempting this workout. You are going to use the exact same progression in this workout. Take your time to work up to 5 sets of 20 reps. This make take 6+ months. Follow up with 2-3 sets of planks, held for 2 minutes. You may want to master doing these with bent legs first for a few months, before you do them with your legs straight. This is without a doubt the king of ab exercises. 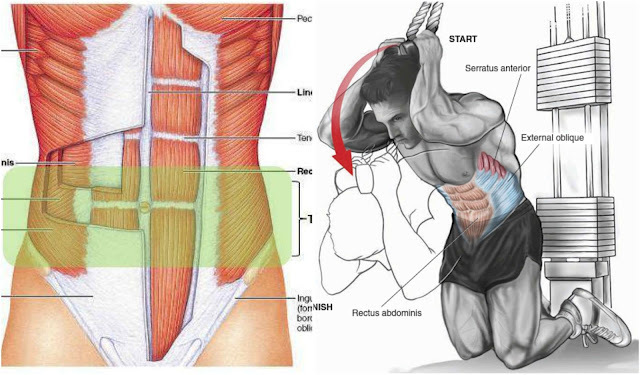 Not only will these work your lower abs, they will give you an extremely detailed mid section. Nothing comes close to the effectiveness of hanging leg raises. In the book “Convict Conditioning”, the author Paul Wade claimed that 5 sets of 15-20 reps of strict hanging leg raises are all that is needed to build dense etched abs. I decided to throw in planks just to harden up the abs a touch more.